ZookZ provides a new way to get pure movie and music enjoyment. We deliver unlimited, high-quality movies and music through a safe, legal and secure platform for one low monthly subscription fee. ZookZ makes it simple for anyone to enjoy digital entertainment. 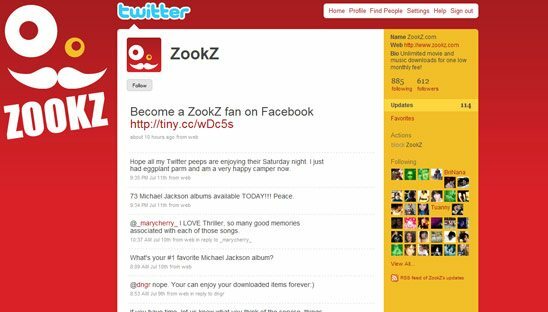 This twitter design is based off the myspace layout we created for ZookZ.